Chris takes another journey through the world of The Witcher, armed with his best cards. When CD Projekt Red announced that they were making a stand-alone multiplayer version of The Witcher 3’s mini-game Gwent, I was very intrigued. It is easily one of the most fun and addictive in-world distractions found in any modern RPG, but it was clearly never going to work as a PvP game as it was in Geralt’s last adventure. That certainly proved to be the case, perhaps even more so than even CDPR had expected. After years of development and a lengthy closed beta period, Gwent was scrapped and taken back to the drawing board. It was at this point I stopped paying much attention to it. 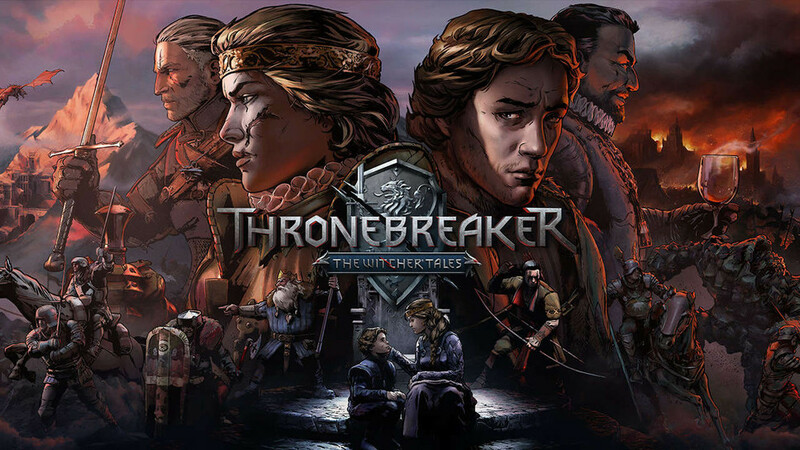 Needless to say, it was somewhat of a surprise to hear that the team had not only completed the much-delayed single player campaign but had removed it from the core game to be sold as a single-player title; Thronebreaker: The Witcher Tales. Marketed as a story-driven single-player RPG from The Witcher 3 team, leveraging the card mechanics of Gwent, it certainly piqued my interest. 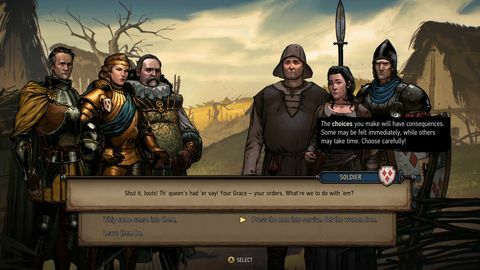 First off, one thing needs to be made abundantly clear, Thronebreaker is not an RPG. 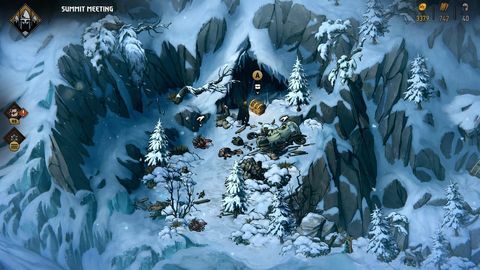 It is a campaign driven strategy and resource management game similar to Heroes of Might and Magic. The major difference being that the grid-based combat from HOMM is now replaced with substantially redesigned Gwent mechanics. Much like HOMM you move your hero across the overworld map to collect resources, trigger story events and enemy encounters. 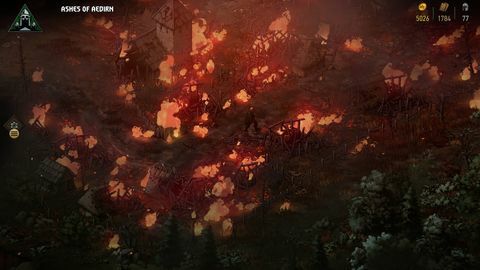 Resources can be spent to increase your army, in this case, your Gwent deck and additional units can be unlocked by defeating foes and completing many of the various quests and story events. It is a well-trodden formula, with the benefit of a CDPR twist and one I was excited to try out. In the early stages of the game, options for building your deck are restricted, but as you experience more of the story you will gain access to more powerful cards as well as the freedom to use a wider range of cards in your deck. Not only that, you’ll unlock cards that can also be used in the multiplayer game as well which is a pretty nice bonus. Mechanically, the updated Gwent is similar yet quite distinct from the original version seen in The Witcher 3. Gwent is a Collectible Card Game (CCG) but unlike many of its contemporaries, killing your opponent is not the goal. Instead, dominating the board in order to field the most powerful army is. Removing or weakening opposing cards as well as buffing or replacing your own is vital if victory is to be assured. Gwent relies heavily on synergies between your cards as well as a surprising amount of strategic thinking. Much like the best games in the genre, the mechanics are fairly easy to pick-up, but there is a massive amount of depth to be found if you have the skill to exploit it. 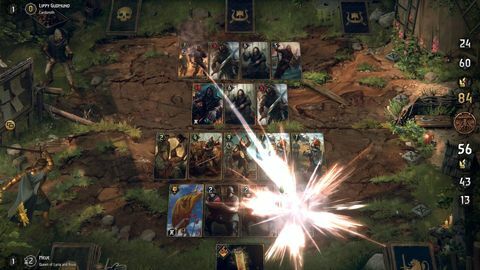 All of Thronebreaker’s conflicts are resolved using the Gwent CCG system, either in the three-round form you will experience in the multiplayer game or in special single round puzzles. Puzzle rounds employ special rules and custom decks which provide some interesting challenges by forcing certain types of play or specific card synergies. They not only add variation but intelligently and seamlessly teach more advanced strategies to the player. Pulling double duty in both expanding your skills in the game, but also better preparing you should you wish to jump into the multi-player version at some point. Gwent is far too complex to adequately explain in a review, but I can attest to version 3.0 being an absolute blast to play. It is a vastly better designed game with deeper mechanics and satisfyingly complex, yet easy to understand gameplay. All of this is as you would expect for a game that started off as the campaign mode for the stand-alone release of Gwent. The real question is does it earn the right to be a stand-alone product worthy of your money, seeing as this was going to be part of a Free to Play title after all. The answer is an emphatic yes! 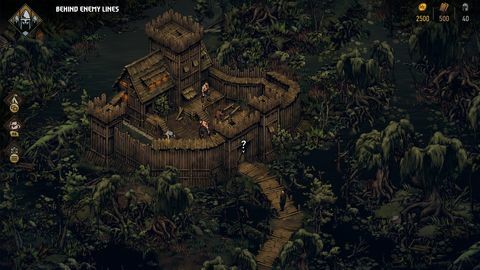 Thronebreaker is a lengthy, exceptionally well-paced single player adventure that should take you somewhere between 30-40 hours to complete. What it lacks in complex character interactions we’d expect from a CDPR game, it more than makes up for with interesting characterisations, rich story-telling and exceptional presentation. Meve, Queen of Lyria and Rivia has returned home from a diplomatic mission to discover her nation has not fared well under the custodianship of her son. Roving bandits have destroyed the quiet lives of the common folk. Monstrous beasts roam the lands, and Nilfgaard in the south is once again looking to expand its borders. As Meve fights to regain control of her lands she will encounter many challenges and be forced to make decisions that will not only affect the fate of her army but her country too. As you expect from a game made by CDPR there are no easy decisions here, and those you make may have unexpected and far-reaching consequences. While this is a far more binary experience than we’ve seen from CDPR in the past, it is no less nuanced for it. Every choice feels important and the unfolding story is richly detailed despite its more restricted canvas. 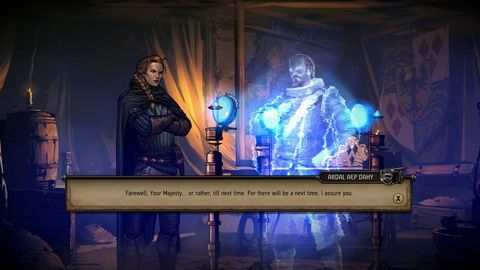 There are a number of choices in Thronebreaker that managed to evoke some pretty heavy emotional responses from me, and I am not ashamed to say more than a few tears were shed before my adventure concluded. Any fan of The Witcher will find a lot to like here and devout fans of the game’s fiction will no doubt revel in the finer details that build on or fill out characters and events experienced in the other titles. Presentation wise the game is quite charming. The overworld employs a hand-drawn art style and all characters while rendered in full 3D are treated to blend perfectly with the world. Every character is exceptionally voice acted, and once again the team have paired their game with a beautiful and evocative score. There are a few issues however. 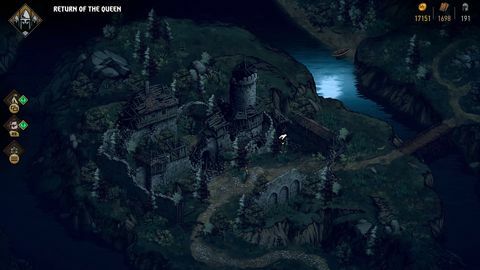 The art style of Gwent is far more realistic than Thronebreaker and feels a little disjointed as a result. 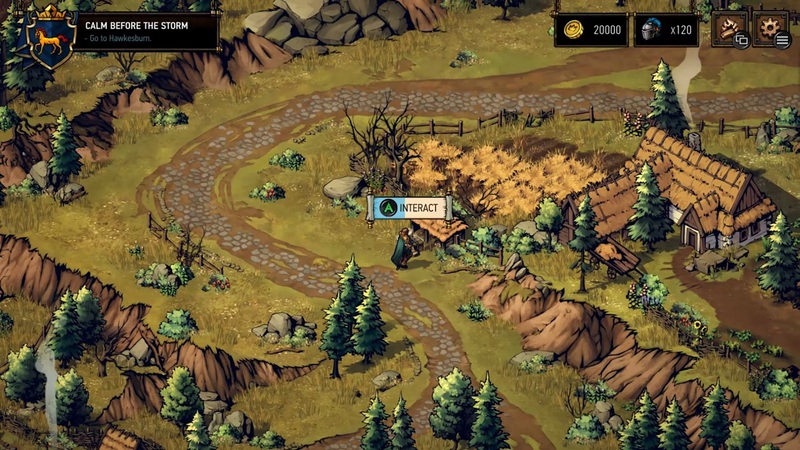 It is nothing short of gorgeous but does not gel with the simpler art style of Thronebreaker. The overworld can be clunky to navigate and doesn’t quite work with either keyboard and mouse, nor a controller. I found myself constantly annoyed by not being able to click on items to collect them, and the awkward movement of Meve’s avatar made navigating some areas of the map unnecessarily frustrating. My major complaint is that the game is never really challenging. Puzzles are quite simple to solve once you understand the mechanics each one is leveraging, and battles are for the most part rather straight-forward where difficulty is found solely in the power-level of the opponent, rather than the strategy of their play. This was always going to be an issue when facing AI in a game designed to be played against a real person. So, while this is not surprising it still detracts somewhat from the satisfaction derived from defeating an enemy. There are some epic battles that felt hard-won, but there are also far too many that felt like I was merely going through the motions. 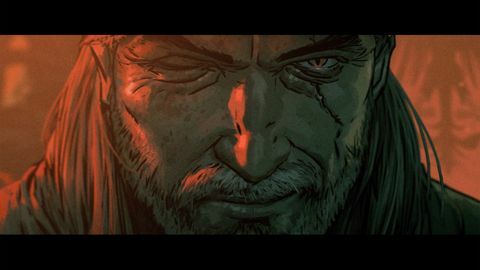 Thronebreaker: The Witcher Tales ran the risk of being little more than an extended introduction and tutorial for CDPRs standalone Gwent. Thankfully that is not the case, the story is exceptionally written and most importantly interesting, with flourishes and surprises along the way to keep you engaged throughout. 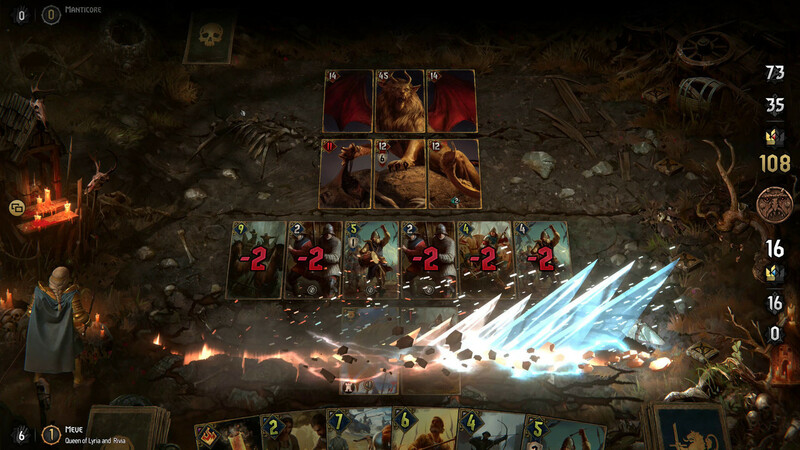 Gwent remains fun while expanding its complexity and playability in meaningful ways. While a single-player game may not quite be the best way to experience it, that can not take away from how well made it is. Come for the card game stay for the story. Ups Great story and interesting characters. Meaningful choices and consequences. Beautiful art and sound. Deep and well-designed CCG mechanics. Downs Clunky interface and navigation. Difficulty not at the level it needs to be. 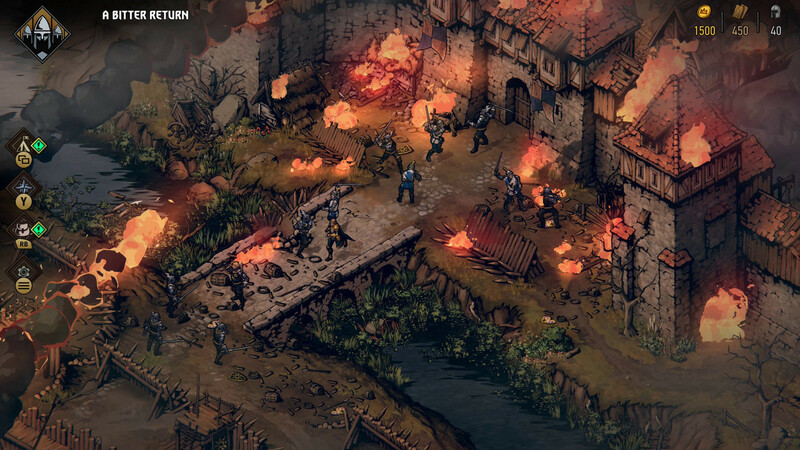 Thronebreaker and Gwent don’t always feel like they’re one cohesive game.